At least two people were arrested at an illegal sideshow in Richmond early Sunday morning, according to police. 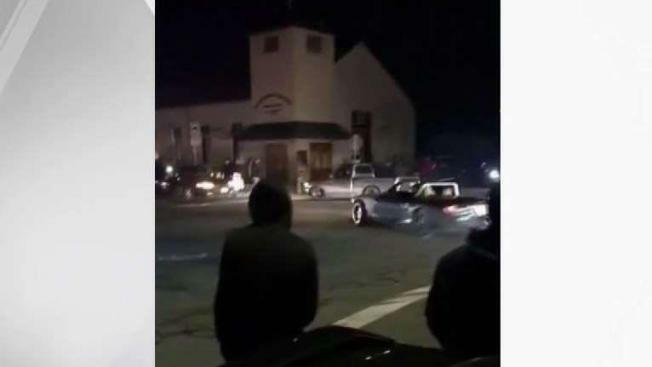 Richmond officers responded to York Street and Chesley Avenue about 12:30 a.m. to bust up an illegal sideshow in which about 50 vehicles and more than 100 people were participating, police said. When officers arrived, people started throwing debris at two patrol vehicles, police said. At least two people were taken into custody, and their cars were impounded. Sideshows are a common occurence in the Bay Area. Over the past couple of months, there have been a number of them, including an Oakland sideshow in September where 85 cars were towed. Richmonds police asked anyone who sees illegal and dangerous activities such as sideshows to call or text to 911 or 510-233-1214. Follow up with a short email to RPDStopSpeed@Richmondpd.net and describe the incident.